Looks like the contender to Angry Birds is here. Cut the Rope is a new iPhone and iPad game that was launched only 10 days ago but has already crossed 1 million downloads on iTunes. The game costs $0.99 for the iPhone and $1.99 for the iPad and it has beaten Angry Birds in the race for the number one paid app in the U.S. This popularity may be the reason why developers Rovio made Angry Birds free on the Android platform so it finds a whole new audience who’ll get attracted by a free world famous game arriving on their mobile devices. 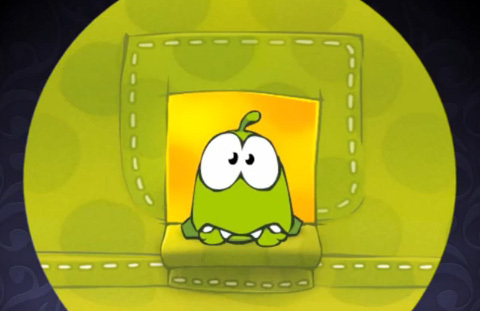 Cut the Rope is also published by Chillingo (like Angry Birds) but has a different developer called ZeptoLab. The game is simple and addictive and users report wanting to play it again and again after getting familiar with the rules. According to Chillingo, 1 million paid downloads in just 10 days has made Cut the Rope the fastest selling iOS game to date and it currently features as the “Game of the week” on iTunes. Most users who own both an iPhone and an iPad bought the game on both devices after trying it on one. The reason is obviously that it’s proving to be addictive and gamers want it to be available on both their iOS devices. You can watch the video below to find out more about the game and decide if you want to buy it for your favourite device.